This is a highly satisfying slice of blue collar Americana, with grit and grace in just the right ratio. Dupas may be from the home of the Stooges and MC5, but instead he chooses to kick out the classic Steve Earle-esque jams in a contemporary manner not too dissimilar to the likes of Sturgill Simpson. Even the album’s title guides us to points South, as Ed pays respect to the Volunteer State. Opener Too Big To Fail jumps in with crunchy Telecaster chords. It’s a slice of classic driving Americana – an underdog’s call to change the oppressive system we live in, a song which yearns to burst out of the speakers on a battered pickup truck. Headin’ Home Again is softer in tone and self-explanatory by title. Broken hearts, abandoned railroads, epic road trips, cheap motels, car plants and a better future – classic Americana fayre from the Springsteen playbook played out over eleven tracks. However, Dupas retells it with gutsy aplomb. He’s at his most compelling when he kicks a little harder, as on the (anthemic) Anthem, though the studio band paints appealingly gentler shades in the quieter songs such as Everything Is In Bloom – a happy /sad harmonising duet with Cole Hanson. As you’d expect, the contributing musicians fill out Dupas’s songs with piano, pedal steel, banjo and organ with the requisite force and flavour. Call it garage country, for want of a better name. 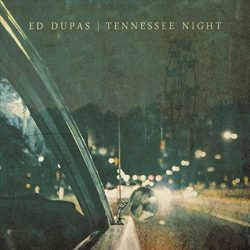 Ed Dupas delivers his version of working man’s blues to great effect. Little in the way of fuss or frills. Just stone cold classy Americana.